Juventus was about to win in their last match against Lazio. But, two Argentine forwards Gonzalo Higuain and Paulo Dybala were completely failed in the match and so, Juventus faced defeat against Lazio at Allianz Stadium. The match was hosted at the home venue of the Old Lady but though they could not manage victory in last Serie A match. 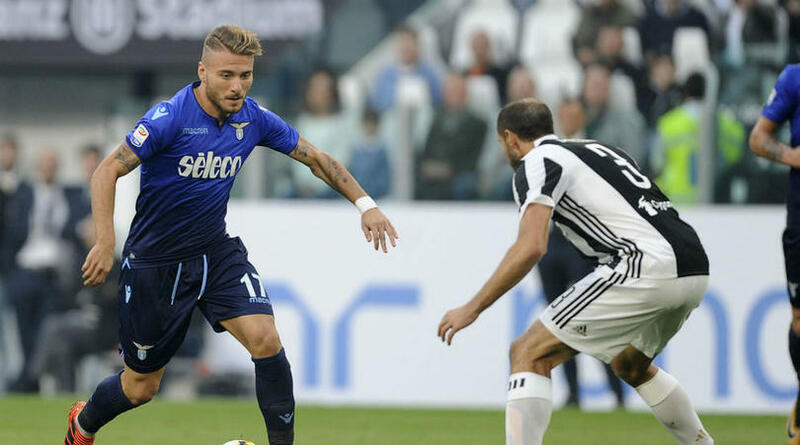 At the home venue, after fifty seven (57) matches undefeated record, in last saturday night, Juventus faced and unfortunate defeat against Lazio by 2 – 1. In the meantime, the Serie A top tier remained unbeaten consecutively forty one (41) matches. In just 23rd minutes of the match, the Brazilian Douglas Costa took the local team ahead. German Sami Khedira’s shot was stopped by the opponent goalkeeper Strakosha but in return ball, this Brazilian winger scored successfully. With the half volley, his shot found net. In 37th minutes of the match, Gonzalo Higuain made a shot to the goal but his shot found crossbar instead of net and so, they could not double the goal difference. At the beginning of the second half, Serie A contender Lazio brought an even with their score. Alberto made an important pass to the Immobile. And this Italian striker did not miss this time and this Italian national team player defeated goalkeeper Buffon and scored the balancing goal. Just after two minutes, Gonzalo Higuain took another attempt but the opponent but being frustrated by the opponent goalkeeper. In 54th minutes of the game, Immobile scored the second goals through the penalty. This Italian striker was stopped by the Old Lady goalkeeper Buffon and so, Referee fluted. So, now in Serie A, the highest score is Immobile. He has crossed Dybala and now his total goal is 11. In the 65th minutes of the match, the Old Lady boss Allegri fielded Dybala by removing Khedira from the field. But even Paulo Dybala, the ARgentina forward could not bring his team back to the line. In the additional minutes of the match, Dybala’s volley was returned by the post. And just before the end of the game, Dybala could not score any goal through the penalty. So, after eight match, with 19 points the Killer Lady is standing on 3rd position in the Serie A point table. With the same point, due to the goal difference Lazio is in 4th position so far. On the other hand, another Italian giant Napoli is still on the winning streak and in their last match, they defeated Roma by 1 – 0. With the victory, their current point is 24 and standing on the top position in the point table.